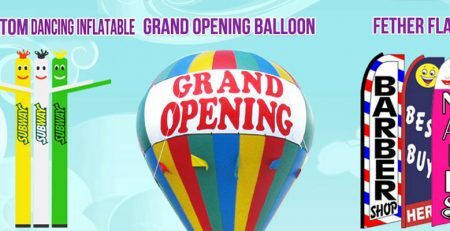 Get ready for the wow moment this New Year, because Payless Balloons Advertising is presenting its ultimate New Year sale 2019 for inflatable products, with lots of amazement’s and surprises. Hurry up, scroll down and check out our grand collection with amazing discount rates. When it comes to the matter of your business advertisement, there are ample options present before you. 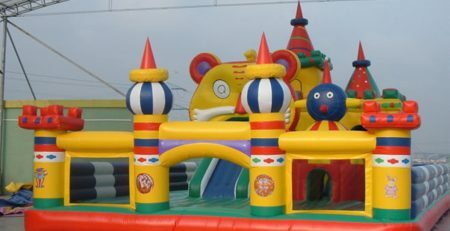 But the most appropriate and assured way that claims the guarantee of gathering prolific customers to your business is no other than the giant and lively advertising inflatable air dancers, which are best to attract a massive number of people’s attention within just a few moments. 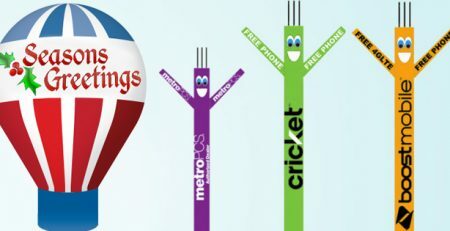 Inflatable air balloons come in a wide range of variety for your business upright promotion. This New Year Payless Balloons Advertising is giving you the happy news of grand discount on its immense collection of astir advertising inflatables balloons. 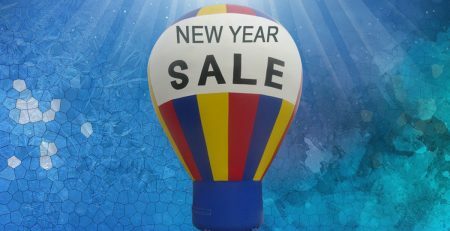 So, if you are running with a low budget this time, this Grand New Year sale on inflatable air balloons is just for you. Payless Advertising Balloons offer you the ease of choice among its great range of air inflatable dancers. 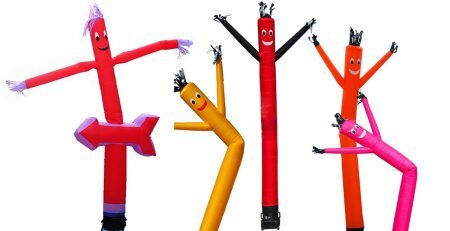 If you cannot afford the budget of a super giant inflatable air balloons, don’t worry, we have a great collection of impressive and perfectly appealing 6 ft air dancers and 10 ft air dancers inflatable tube guys. 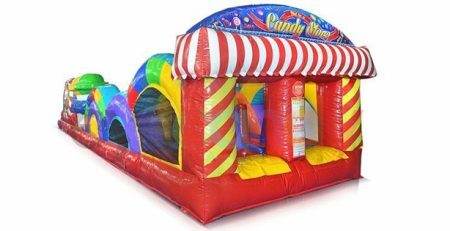 In this grand New Year sale for advertising inflatable products we have sorted our best eye-catching inflatables tube guy under $119. This great reduction takes the discount up to 25%. 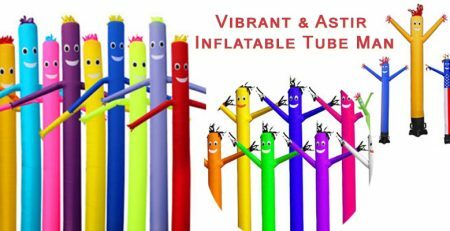 It exclusively contains the 10 ft air dancer tube man, plain air dancer in jazzy and attractive colors, with printed inflatables and custom designed air inflatable dancers, sky air dancers, holiday air dancers and much more. Getting bigger in size these inflatables air dancers increase the surety of catching the attention of a greater number of people to the lively sight. Payless Advertising Balloons at its ultimate New Year sale on air inflatable balloons is presenting amazing proffer of exclusive discounts on 20 ft or higher advertising inflatable balloons in USA. 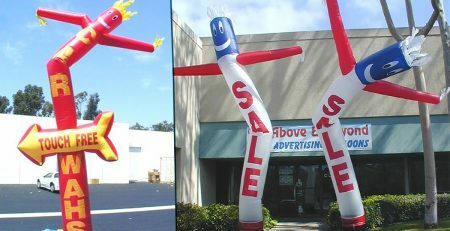 It includes 20 ft, 22 ft, 23 ft, 29 ft, even 32 ft, huge sizes of cell phone industry air dancers, holiday air dancers, plain air dancers, and inflatable air dancers tube men, sky dancer and much more thrilling versions of unique character-shaped inflatable tube guys. Imagine a giant gorilla standing on the side way of a passage, would it not be appealing you to turn around to get a must have look at the site. Definitely yes, a giant interesting character balloon standing on the passage way ensures to attract a large number of prolific spectators to the site. Payless Balloons Advertising has gathered its immense collection of giant character-shape air inflatable balloons at incredible discount in its happiest New Year Sale on advertising inflatables. It introduces captivating imitations of the giant gorilla and the great hulk, amazing Android Boost, and creative Halloween characters. So, let’s make this New Year celebration more exciting with the eye-widening proffers of Payless Advertising which unlock the amazing discounts on its immense collection of attention seeking products of inflatable air dancers, inflatable tube guy, custom advertising inflatables and any product of advertising inflatable balloons in USA according to your choice, all is available here, just have a look at our grand collection of surprisingly affordable rates. Let we make this New Year more memorable together.